You can change the self timer for both the camera & the selfie stick to however long you want using the app. In the app choose your desired length. For the stick I choose off, then fire a shot to set it. It should now take an instant shot. Then for the cameras shutter button again using the app I choose 5 seconds and then long press the cameras shutter. 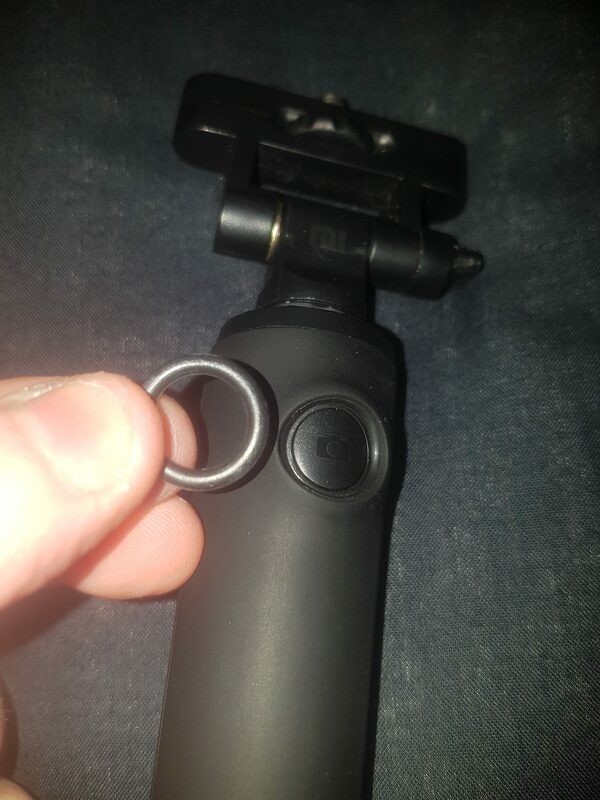 This then gives me a 5 second delay for pressing the cameras shutter button and instant shot on the selfie stick. You can then disconnect from your phone, the camera will remember the last app setting. 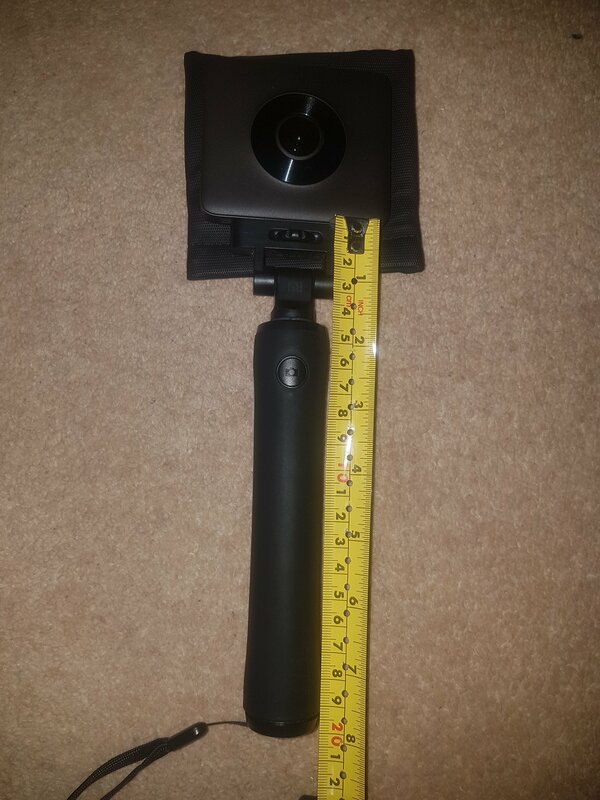 The Selfie stick when collapsed is 20cm and when extended 71cm. There are longer selfie sticks out there, but they all suffer with bend when held horizontally. 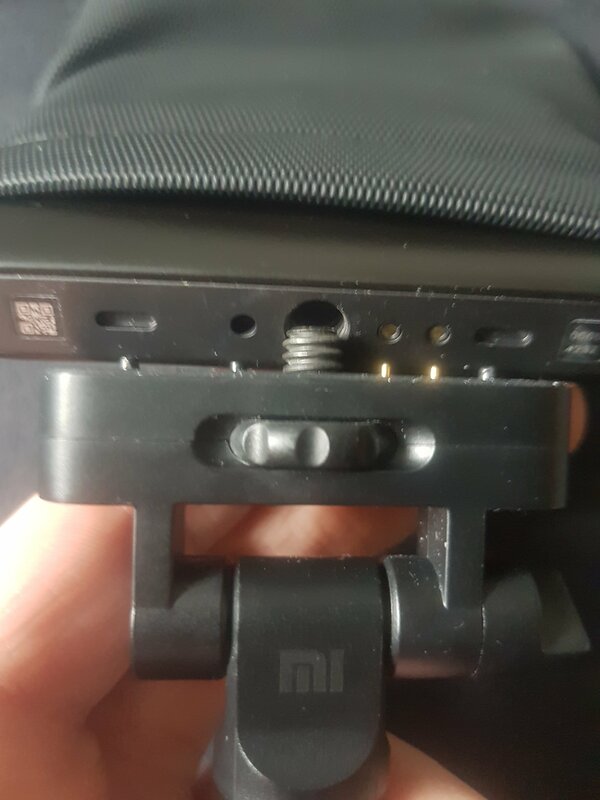 I think Xiaomi have kept it slightly shorter as to make sure there is no bend when fully extended. This will mean the selfie stick will always be invisible to the camera no matter what angle you put it. The only negative i have with this selfie stick is how easy the angle joint moves. 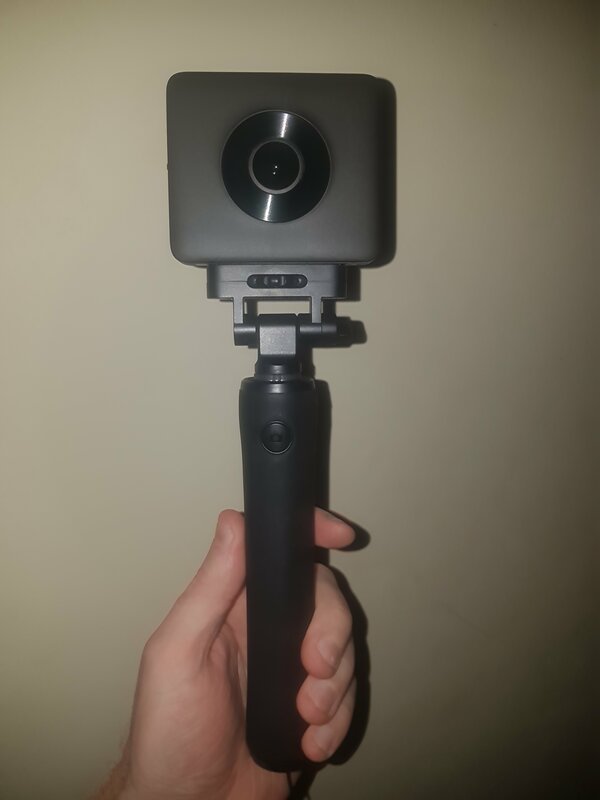 In my opinion this shouldn’t even have a movable joint as its a dedicated selfie stick for the Mi Sphere. 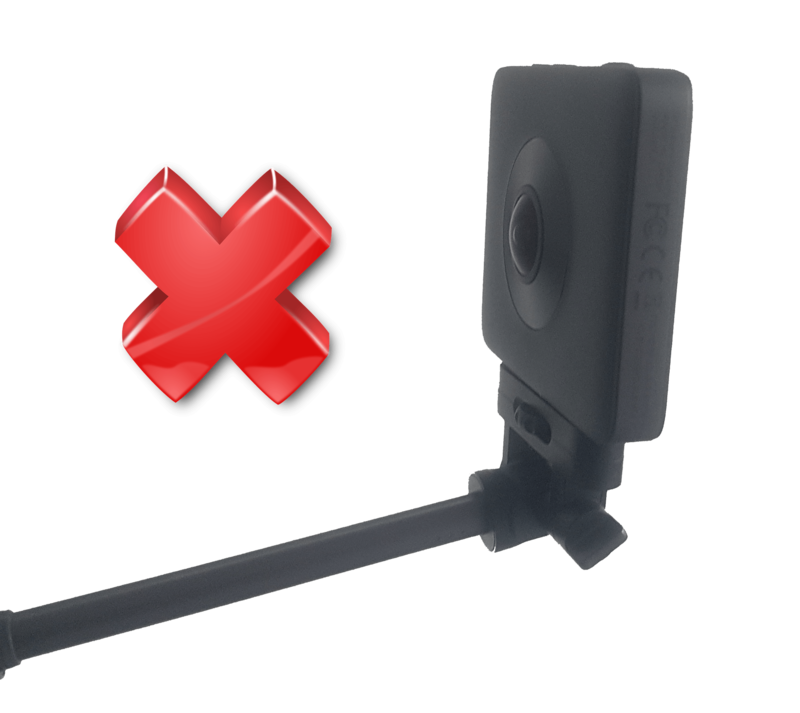 We all know by now with 360 cameras, you DO NOT change the angle of any selfie stick, ALWAYS keep it in line with the stick. Tip: Add a small washer to stiffen up the joint. 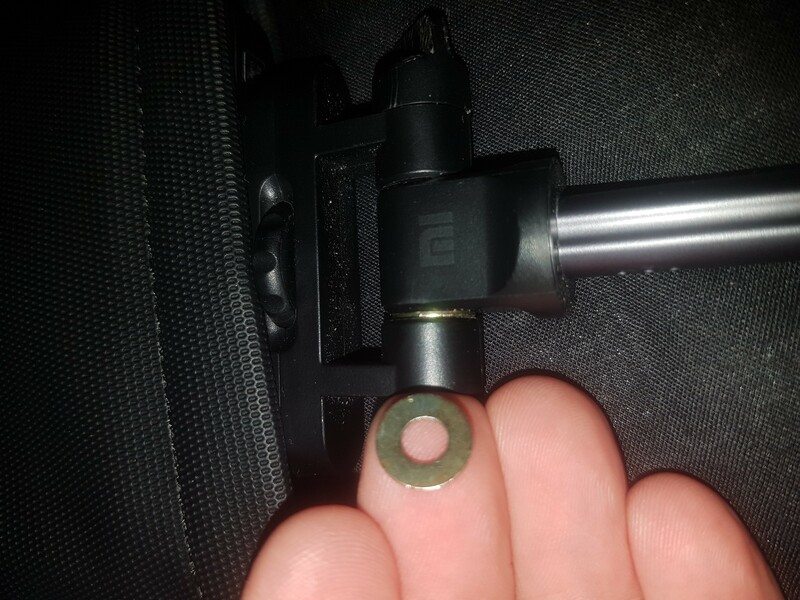 Simply unscrew the screw and carefully prize open the joint enough to slide in the washer. 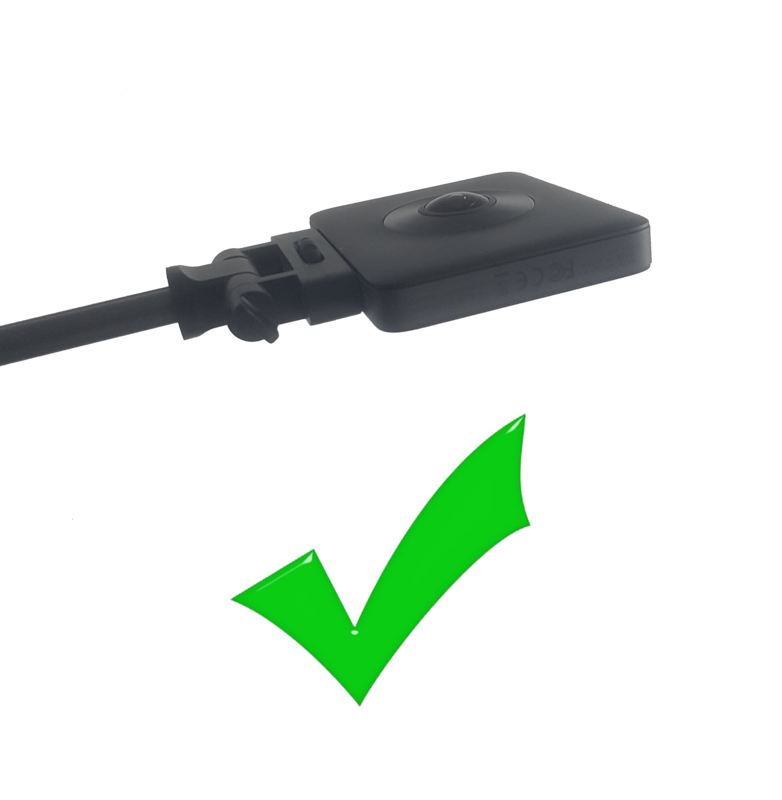 Be careful not to pull to hard as the wire connecting the button to the camera runs through. 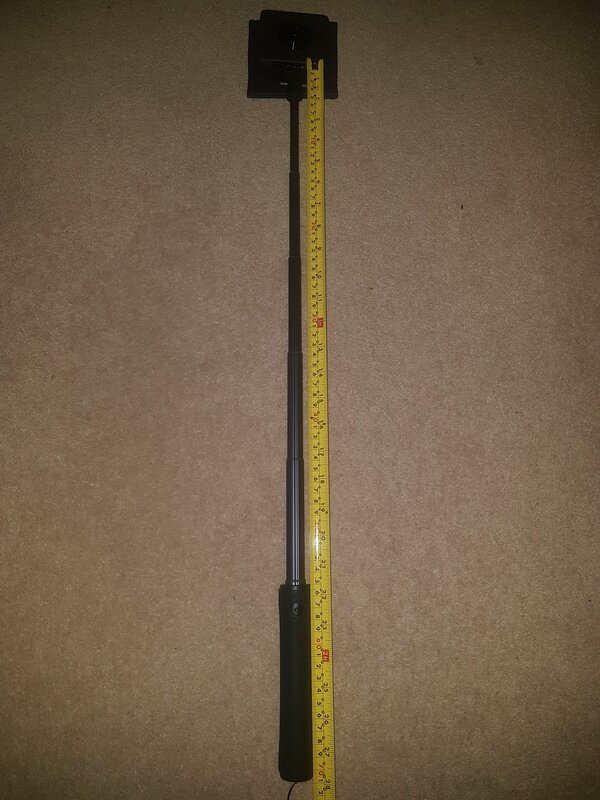 I used a small metal washer i had lying around, but i think a rubber one may be better as it would have more friction. 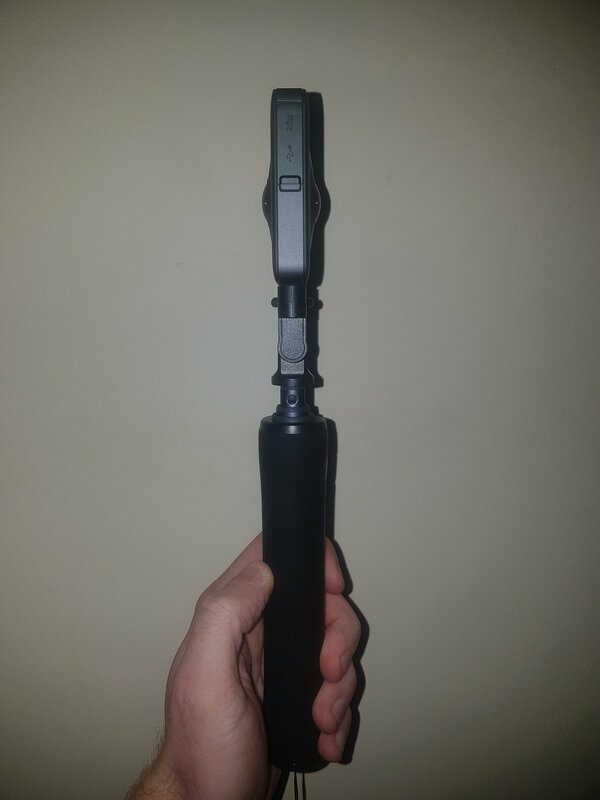 Tip: I have found that I was having many accidental presses of the selfie stick button either in my pocket or in my bag. Add an ‘O’ ring around the button to help stop the unwanted presses. There’s no female thread on the bottom, which would have been useful, though not a deal breaker for me. Just being able to set it on a table at dinner with friends at a foot or 2 of height and get a group shot without having to hold it would of been great. However with the lightweight of the selfie stick, when extended it would be very top heavy and could very easily be knocked over, so i can see why they may have decided not to include one. 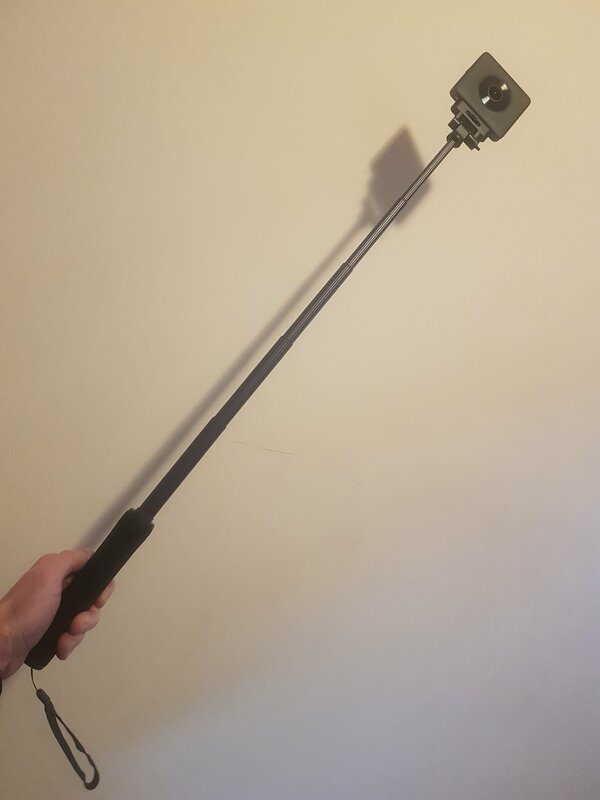 I bought the selfie stick from Gearbest and it only took a week to arrive. Usually around £12, but they often have flash sales or offer coupon codes to get even cheaper. You can order it from here. Arrgh, yep the unthinkable happened and all i did was pull the thing open with no excessive force! 😣 Rather than just throwing it away i thought i’d try and repair it. Do you own the Xiaomi Selfie Stick?